As you can probably guess it had to be seven miles today to round-up to 155 miles or on average 5 miles a day. I did, for a mad moment, contemplate 12 but that would have been excessive and killed my legs. And anyway it was far too cold for that. I also have to be able to try to match my mileage come June afer all! It was cold and trying to snow! But I had to get it done. The first run of the month where I wore 2 long-sleeved layers and my hat and gloves stayed on for most of the time. A slow start, after a mile or so my calves were tight from running fast laps at BMF yesterday. I was shuffling along slowly feeling sorry for myself and thinking maybe 2 miles was more appropriate for today. Fortunately at the 2 mile point I was in the middle of Hyde Park with no oyster card or cash on me! 7 miles it was going to be! By 3 miles and a few repeats of ‘Spirits Having Flown’ by the Bee Gees my legs loosened up, I started to feel good and the rest of the run got better and better. So much so that I finished with the last 2 miles at HM pace. Running past grid locked traffic always does make me feel good! So Janathon day 31 done. 31 days run, 31 blogs, 155 miles. Thank you Cathy and everyone for another great ‘Athon – you’ve all been brilliant. I’m hoping to catch up with reading blogs over the next few days now I don’t have to blog myself! Keep up the running and see you in June! 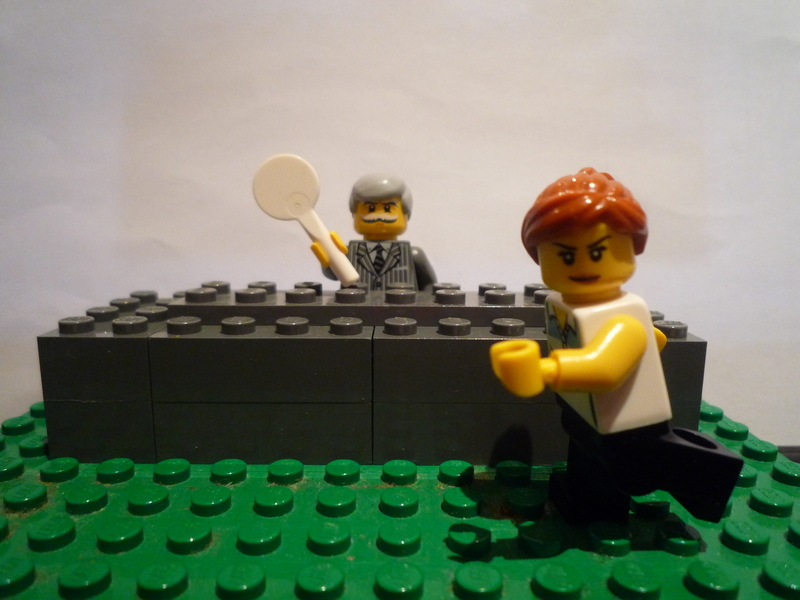 Categories: running | Tags: Janathon, lego, Running | Permalink. Well done on the final 7 and reaching the 155 miles – amazing effort. Hopefully I can do a better job on the run distance in June – see you there! Well done, see you on Saturday for the post-Janathon party! Glad to hear you had a good final Janathon run…I did too 🙂 see you (cyberly) in June! Great finish — well done on the century and a half and then some! Congratulations on completing Janathon with such a strong finish and for making it through to February. I’m going to miss your blogs (and of course the lego). Fantastic total, great Lego, entertaining blogs. Wonderful!